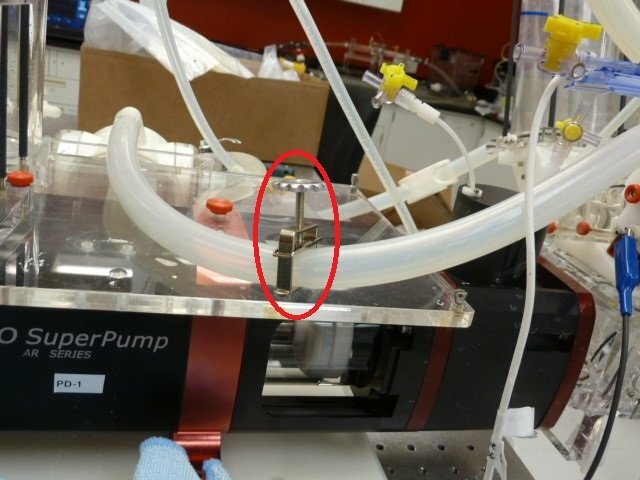 This FAQ discusses configuration considerations when adapting the ViVitro Pulse Duplicator Model Left Heart flow loop to enable right heart testing. The ViVitro Pulse Duplicator is composed of the clear acrylic Model Left Heart, SuperPump, Flow Measuring System, and ViViTest data acquisition system. 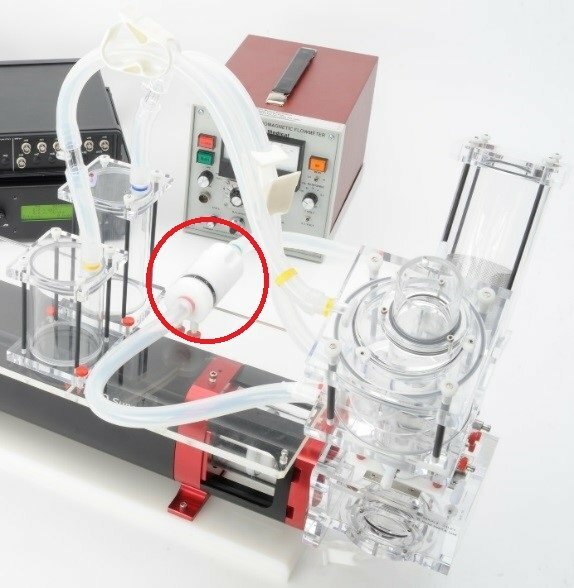 This flexible piece of testing equipment simulates physiological pulsatile flow in the heart using customizable waveform control, peripheral resistance, and compliance while allowing clear device visibility as well as pressure and flow measurement and user-friendly data collection. 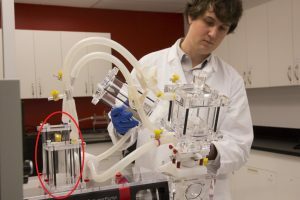 Initially the system was designed to mimic conditions of the left side of a heart with the intent of testing prosthetic heart valves. 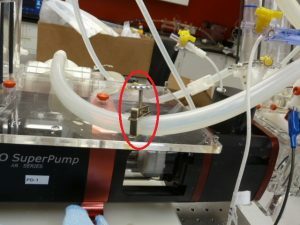 However, since its inception, the ViVitro Pulse Duplicator has also been customized to perform hydrodynamic testing on a variety of novel cardiovascular devices. One common custom use of the Pulse Duplicator system is for Right Heart applications. Peripheral Resistance: The pressures in the Right Heart are significantly lower than those in the Left Heart. As shown in Figure 1, in order to reach the lower pressures of right heart conditions, it may be necessary to replace the Peripheral Resistance Controller from the flow loop with a simple pinch valve. Figure 1. Standard Peripheral Resistance Controller (left) Pinch valve for resistance control of right heart conditions (right). Figure 2. Standard heat exchanger (A) with higher efficiency and pressure drop. Low pressure drop heat exchanger (B) with lower efficiency and pressure drop. Compliance: The system compliance will affect the shape of the pressure waveform, including the spread of systolic and diastolic pressures. As with the left heart, for some conditions it may be necessary to adjust compliance volumes to reach the desired pressure waveforms. See Figure 3 and the Pulse Duplicator User Manual for more details on system compliance. Figure 3. 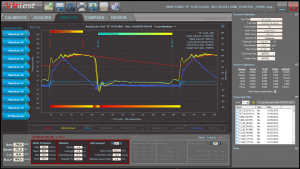 Compliance options for pressure waveform control. The aortic root (taller) and Windkessel (shorter) compliance tanks along with other options (not shown) may be necessary. 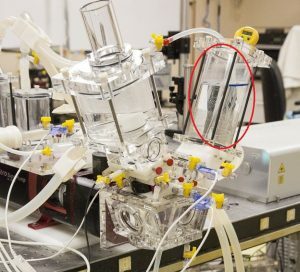 Static Head: The static pressure created by fluid in the atrium will have a large effect on the systemic pressures in the system if right heart conditions are being targeted. It may be necessary to control this height to obtain consistent results. As shown in Figure 4, a line in the atrium chamber may be useful. For hypotensive conditions this fluid should be dropped as low as possible. Figure 4. Controlling fluid level in the atrium chamber to control static pressure. 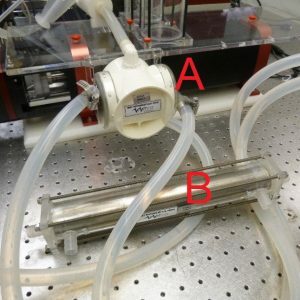 Right Ventricle Outflow Tract (RVOT): Since the glass aorta for the standard ViVitro Labs Pulse Duplicator may not simulate the desired anatomy of the RVOT, the Aortic Conduit Mount (ACM) may be an effective alternative. Essentially, the ACM can be used to mount custom ventricle outflow tracts desired to emulate test site physiology. See Figure 5 below. Figure 5. 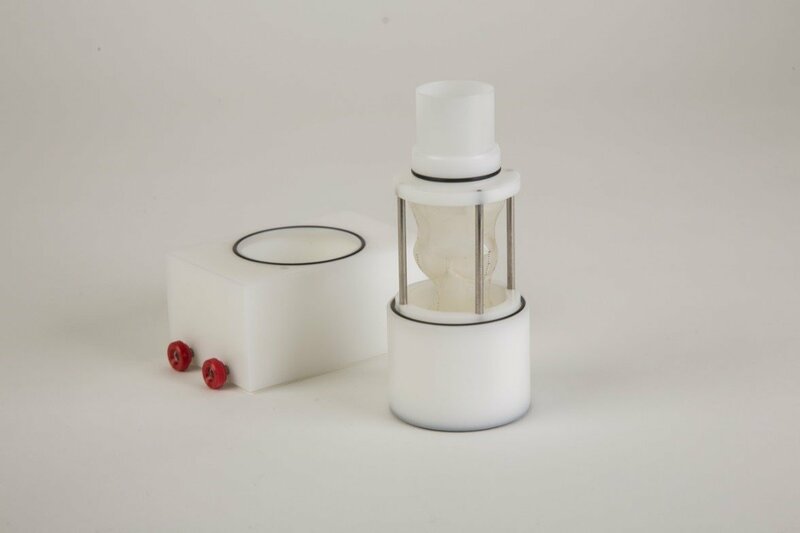 Model silicone aortic root mounted in the ACM accessory for the ViVitro Labs Pulse Duplicator. ViViTest Software: Currently, ViViTest software (for use with the Pulse Duplicator) utilizes specific terminology for Left Heart applications, mainly in reference to valve sites (aortic and mitral). 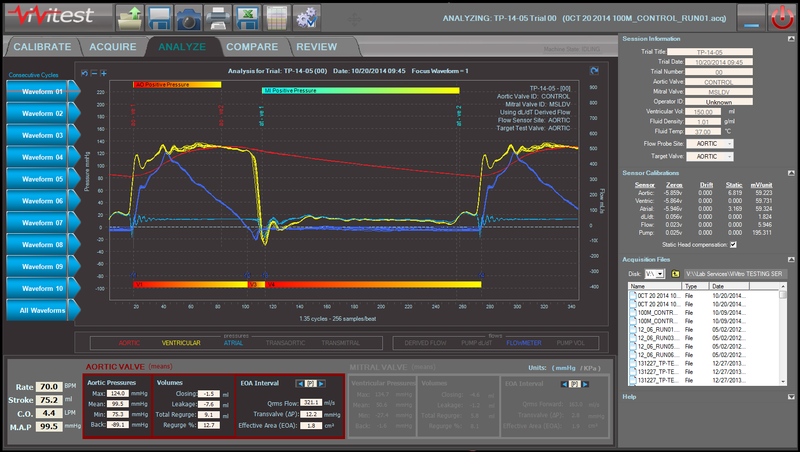 This software is still effective for Right Heart testing, as all the pressure and flow measurement locations and subsequent calculations are still relevant. Just keep in mind that references to the aortic and mitral valves apply to the pulmonic and tricuspid valves, respectively. For a screenshot of the ViViTest user interface, see Figure 6 below. Figure 6. ViViTest software user interface.